Break is one of DnB's most prolific producers, having released music on many of scenes top labels. From his first release in 2003 with A Sides's Eastside Records he went on to sign tracks to Commercial Suicide, Metalheadz, Soul:r, Subtitles, Shogun Audio and Exit records. His close ties to DNAudio, Quarantine and DJ Die yielded some of the best releases on their labels. Starting his own imprint Symmetry Recordings in 2006 opened the door for full control of his musical output, with 4 solo albums under his belt and a stack of singles and E.P's. His remix skills have been regularly commissioned, leading to remixes of commercial artists such as Bloc Party, Miss Dynamite and Sigma & Rita Ora. Break was sought out for remixes of classic DnB tracks such as Shy Fx's Bambaata, Krome & Times' The Licence, Dillinja's Hard Noize and a still expanding list of many other top DnB tunes. Acquiring a love for the breakbeat through jazz and funk records, Break learned the drums and piano at a young age and took to the turntables at the age of fourteen. A talented musician with a wide range of influences, Break looks to push the barriers in whatever he's doing. Crisp breaks, heavy bass and strong melody are trade marks of his productions making him a firm favourite with a variety of the scenes top DJs. Collaborating with vocalist Kyo on many of his album tracks, singles and other non DnB projects has added a talented and familiar voice to the Symmetry sound. Many other artists have been involved with the label and the list is too long to add, but with the likes of Calibre, Calyx & Teebee and DJ Die, with regulars such as Spectrasoul, Xtrah and Boston, the best talent is always keen to be involved. 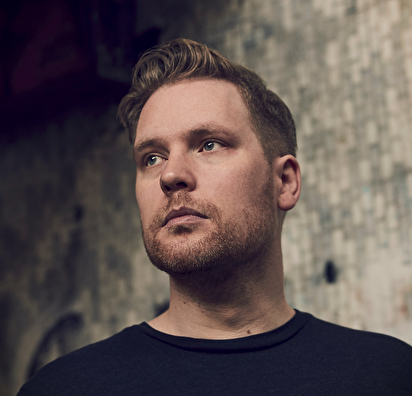 Break topped the Beatport DnB annual chart for downloads of 2014 and 2016, and with most vinyl releases selling out, he's been a good bet for a successful release. Celebrating 10 years of his label in 2016, Break released the "Ten Years Of Symmetry L.P." to mark the occasion, with collaborations and new solo tracks making this one of the strongest releases to date. In 2017 the collaboration with MC Fats and Cleveland Watkiss for 'We Are The People / Midnite Classic' received love from many of the scene's top DJ's and handful of other big remixes carried Break into 2018. This year Break will press his 5th solo album, due to drop in late Autumn.